My antivirus did not recognise this payload as a virus. That means it is either written in some ambiguous way that the antivirus can’t detect or it’s what’s called a 0-day virus, one that the antivirus companies don’t know about yet because it was only introduced today. 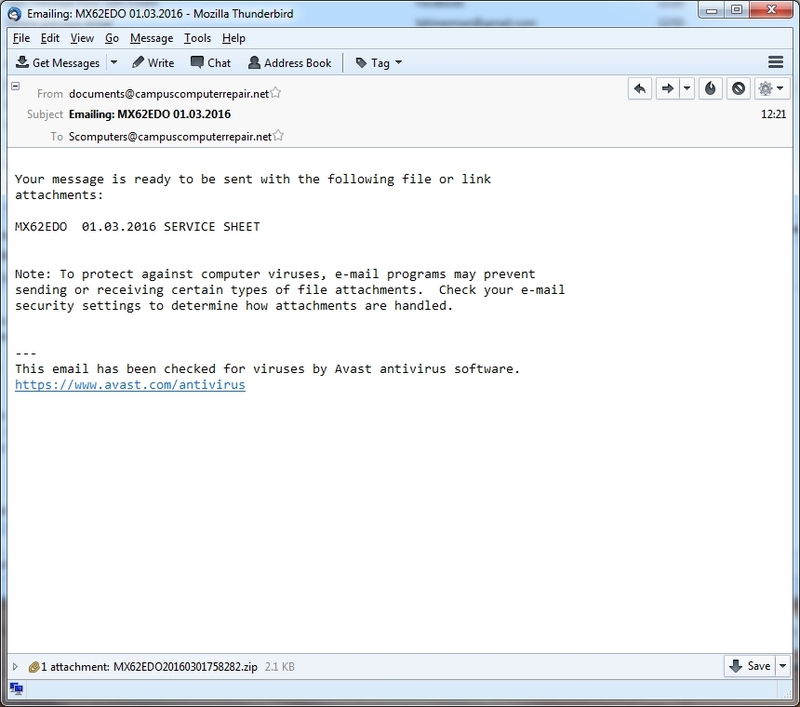 The lesson here is that your antivirus is only one aspect of your protection, your people have to be trained and alert to both targeted and opportunistic scams coming in via email. Hartland Computer’s Two-Hour Security Review can help your small business identify vulnerabilities and avoid downtime.